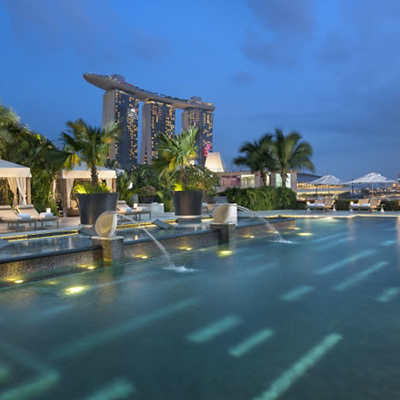 On a recent trip to Singapore we decided to stay at the Mandarin Oriental, which is located on the edge of Marina Bay. This enviable location is truly superb and offers stunning, unrestricted views across the bay. When we arrived, we were welcomed warmly and effortlessly checked in. We were then show to our room. During our visit, we experienced a Marina Bay View room, which is a good size room and as the name suggests, boasts extremely impressive views over Marina Bay. 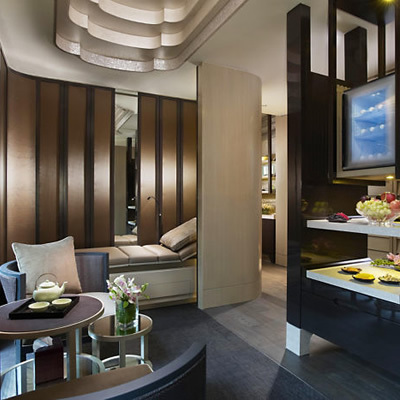 If you are really looking to feel part of Singapore from your hotel, then this room does not disappoint. The bedroom hosts a mini bar, a desk, a flat screen TV as well as one of the most comfortable beds we have experienced. This room is also filled with complimentary little luxuries that make all the difference, including fresh flowers and robes and slippers. The bathroom offers a separate bath and shower complete with luxury toiletries, including bath salts for a relaxing soak. If you can drag yourself away from the view and amenities of your room, we can thoroughly recommend checking out the hotel’s outdoor pool, which overlooks the city. It really is a spectacular place to have a swim, and is surrounded by cabanas and sun loungers, should relaxing poolside be more your style. This hotel is also home to several bars and restaurants, with Melt Café being the Mandarin Oriental’s house restaurant where breakfast is served. This is a great spot which allows guests to enjoy dining either indoors or outside in their garden. Breakfast consists of a sumptuous buffet full of a vast array of cuisines, catering for all nationalities, which is just one nod to how cosmopolitan and vibrant this place truly is. For those looking to truly indulge, the hotel’s spa is the place to be, offering an innovative selection of treatments, as well as a fitness suite. We can highly recommend an afternoon in the spa relaxing after a swim. 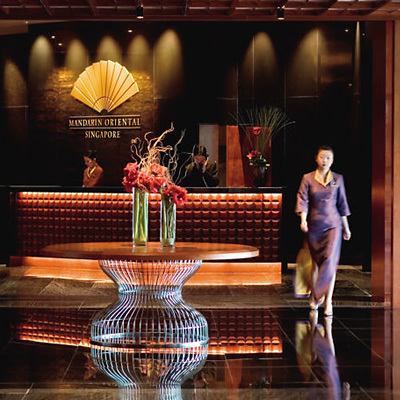 We were hugely impressed with our stay at the Mandarin Oriental, Singapore, which lives up to the brands’ exceptional reputation. The staff are wonderfully friendly and welcoming and throughout our stay we were left wanting for nothing. 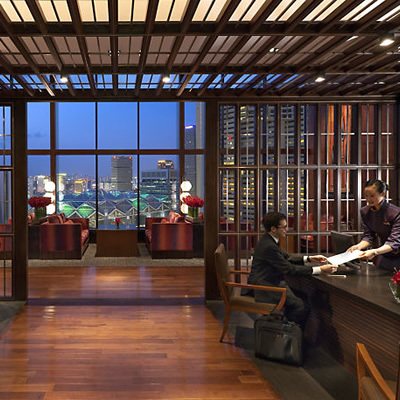 We thoroughly recommend that you pay this hotel a visit during your next trip to Singapore. We certainly cannot wait to return. Discover creativity at its best through art, science, design, media, architecture and technology. Enjoy these incredible exhibits at this one-of-a-kind museum.